Microgate's standard headset is a perfect match with the uCom amplifier, delivering rugged performance and excellent audio quality under most outdoor conditions. 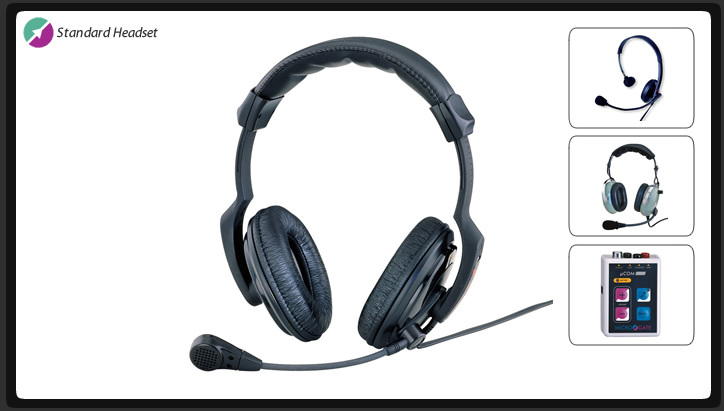 Extremely comfortable due to its light weight and comfortable padded earpieces. Features foam mic windscreen to block out ambient noise. Sturdy construction with comfortable dual-earpice design, flexible boom mic with foam windscreen. Compatible with Microgate Headset Amplifier.